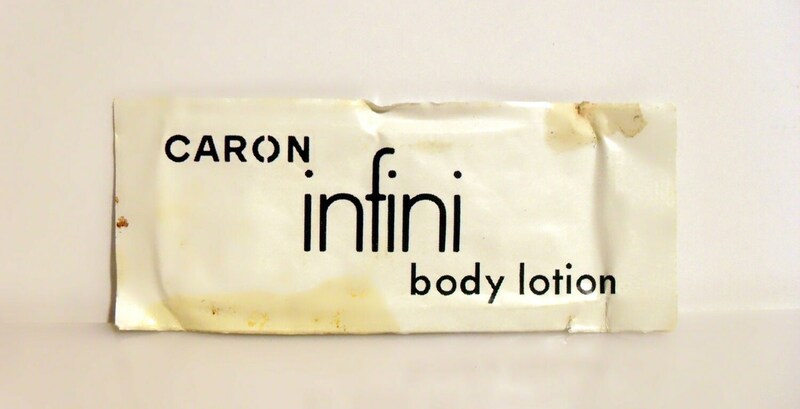 Vintage 1970s Infini by Caron Perfumed Body Lotion Manufacturer's Sample Packet. The lotion packet was never opened and should contain enough product for one application. However, I highly doubt it is still good to use so it is being sold as a collectible only. The lotion is old and no longer fresh, keep this in mind if you purchase as there will be no returns accepted. There are stains to the packet. Infini was launched in 1970 as a tribute to space travel. The name is inspired by the 1912 Caron perfume L'Infini by Ernest Daltroff. It is classified as an aldehydic floral chypre perfume for women.